THE woman with her baby stares quietly into the camera, her passive gaze perhaps containing some knowledge of the unspeakable horrors that were about to befall her. Shortly after the photograph was taken on the woman's arrival at the infamous Khmer Rouge torture centre S-21 in Phnom Penh, her baby was taken away and killed. She herself was doomed, the wife of a Khmer Rouge officer who had fallen out of favour, and to become one of the millions of victims of Cambodia's mass murder of the 1970s. sleeping infant was yours to buy for $199.99 for use in a "marketing package". In other images a woman, pinned with a number, sits slumped beside her baby, and in another a young boy, number 374, stares terrified at the lens. 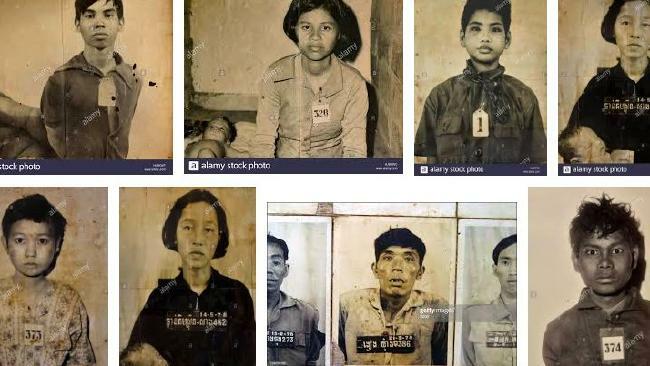 Literary publication the Mekong Review has revealed that two stock photo agencies - Alamy and Sprague - were cashing in on the images of the women and other victims of one of history's most appalling atrocities. Photo of woman and her baby at the Khmer Rouge torture centre before their genocidal murder was on sale as a stock image for profit. 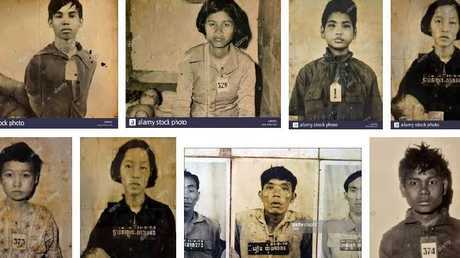 All the people in the black and white photos for sale online died in the Khmer Rouge's Year Zero genocide, more commonly known as Cambodia's Killing Fields. 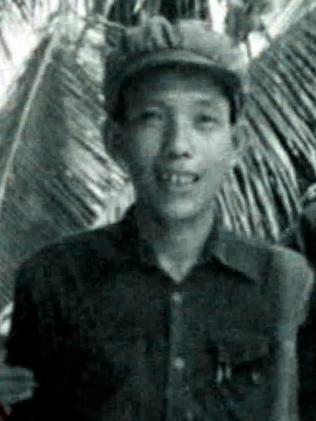 Publishing the images on Twitter, the Mekong Review wrote: "These portraits were taken by Khmer Rouge cadres before they tortured and killed these people. 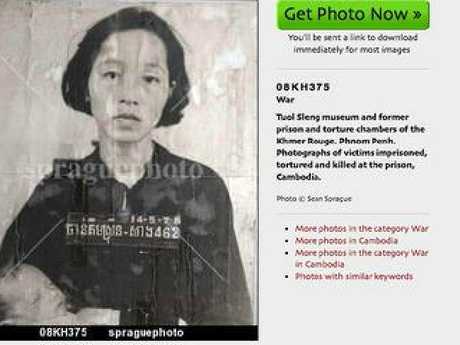 "This is wrong ... selling photos of Khmer Rouge victims which they have no copyright on. "No one owns these photos. "They were taken by members of a regime that was responsible for the death of 2 million people." The Cambodian genocide began in 1975 when the country's communists called the Khmer Rouge overthrew the democratic government and seized power. 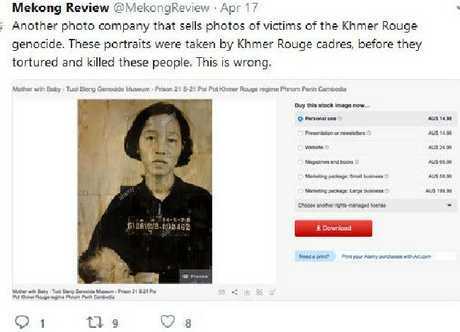 Mekong Review Twitter post about the sale prices and marketing of this Khmer Rouge’s victim’s image taken before her murder. Kaing Guek Eav, aka ‘Duch’ who ran the S-21 torture centre where the woman and baby died. 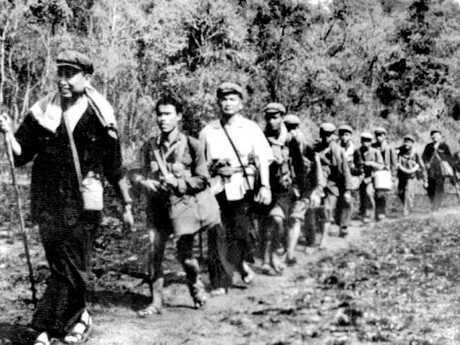 Led by five men including the notorious Pol Pot, they established "Year Zero", forcibly evacuating people from the cities back into the countryside and murdering perceived opponents. Money was abolished, books were burned and the country's intellectual elite including teachers and wealthy traders were slaughtered to realise Pol Pot's dream of an agricultural communist utopia. Up to three million Cambodians - one quarter of the nation's population - were killed while the country fell into ruin and famine. Arbitrary executions and torture were carried against perceived subversive members of the Khmer Rouge's own ranks, such as the unfortunate husband of the lady with her baby in the photograph. 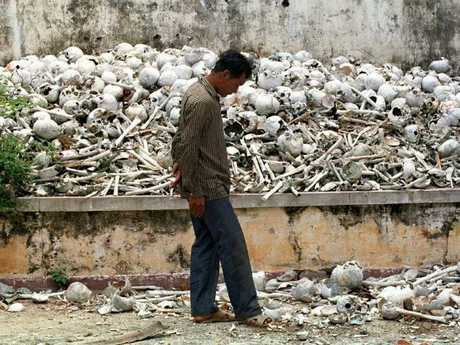 Cambodian boy stands by remains of Khmer Rouge genocide victims in Kandal province. Picture: Heng Sinith. After four years of terror, the Khmer Rouge was removed from power when Vietnamese forces invaded. Left behind were the skeletons of the many victims and their photographs. 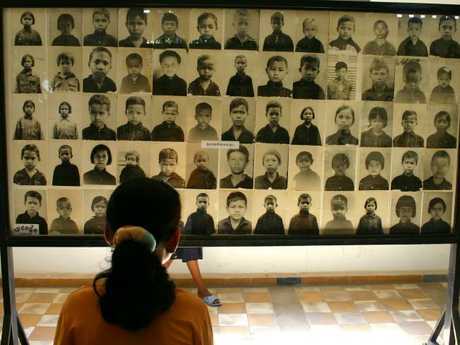 Visitors to Cambodia today can see the thousands of photos taken by the Khmer Rouge of their victims which take up the rooms of the Tuol Sleng Genocide Museum in the capital, Phnom Penh. The museum is on the site of the former high school which was used as Security Prison 21, S-21, to torture and kill victims. A "tower of skulls" can be seen at the Choeung Ek Genocidal Center, the site of a former orchard and mass grave containing 8,895 bodies 17km south of the capital. The Mekong Review reported that no release form for use of the images had been signed before they were marketed by Alamy and Sprague. It called into question the practice of selling the images for commercial use on legal and moral grounds. On Monday, the Mekong Review reported that Alamy and Sprague had now removed the images from their sites. 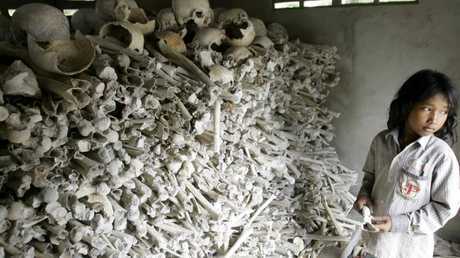 Images of killing fields genocide victims sold online by stock photo agencies for profit. Skulls and nones of Killing Fields victims at Tuol Sleng Genocide Museum in Phnom Penh. Schoolgirl with photographs of murdered at the Tuol Sleng (S-21) Genocide Museum in Phnom Penh. Khmer Rouge leader Pol Pot leading his troops during their mass murder of Cambodians.